The Norman Rockwell Museum has asked TI to help spread the word about what sounds like a terrific lecture they'll be presenting this Sunday (April 10th). 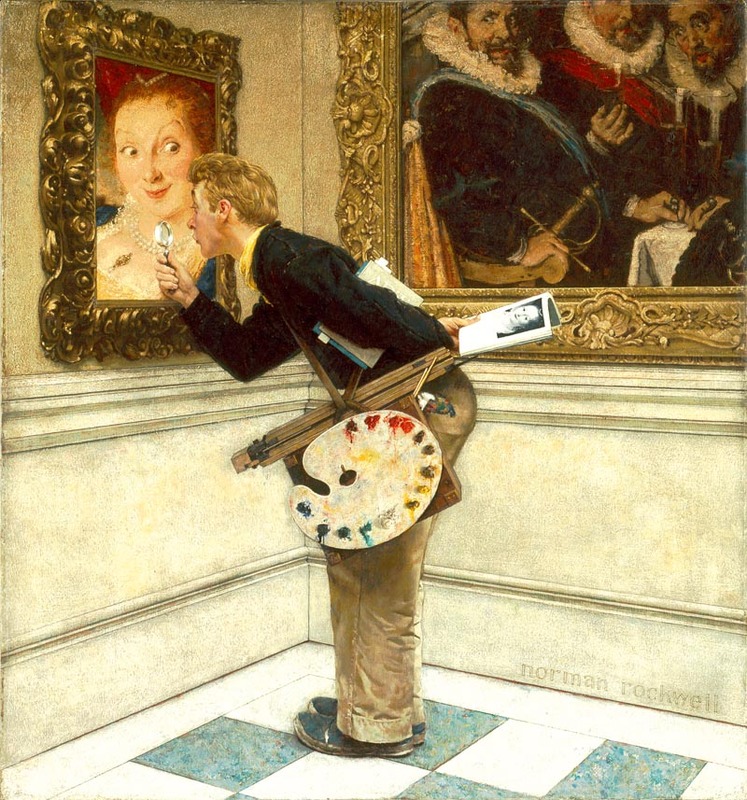 As a young artist, Norman Rockwell greatly admired the work and celebrity of illustrator Joe Christian Leyendecker (1874-1951), who had become a household name during the early twentieth century. 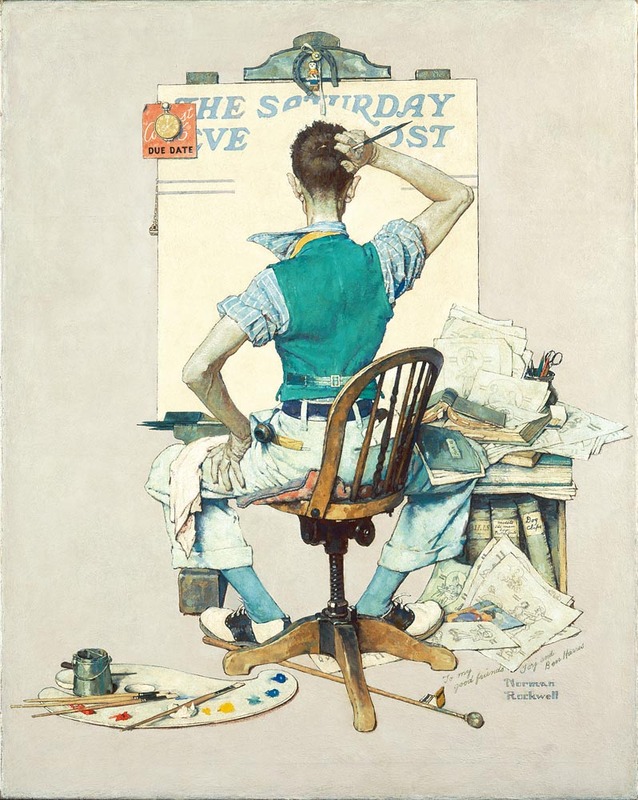 As part of its new Rockwell Center Lecture Series, Norman Rockwell Museum will present “Imperiled Illustrators: J.C. Leyendecker, Norman Rockwell, and the War at ‘The Saturday Evening Post’,” on Sunday, April 10, starting at 11 a.m. Dr. Jennifer A. Greenhill*, Assistant Professor of Art History at The University of Illinois in Champaign, will examine the moment acclaimed illustrator J.C. Leyendecker left “The Saturday Evening Post,” and Norman Rockwell took over as the magazine’s star illustrator. 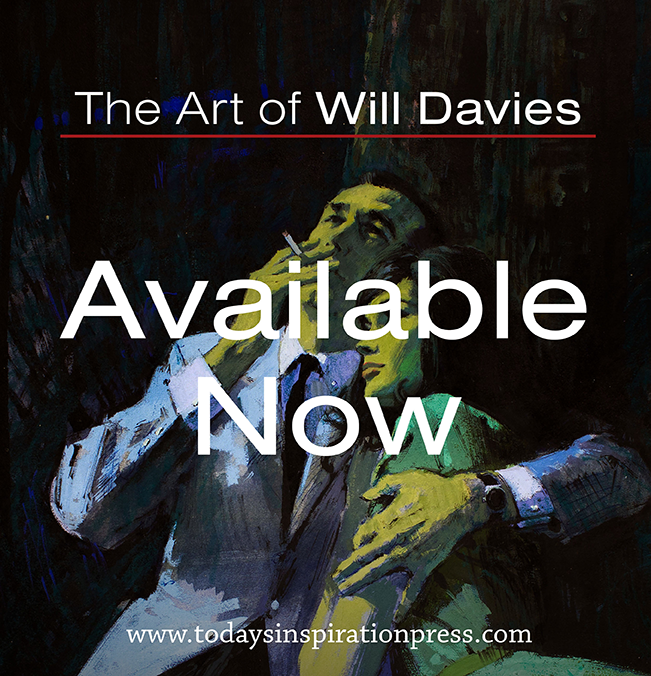 The tenor of publishing during World War II, different approaches to “surface” in illustration, and the challenges that abstraction posed for artists working realistically will be explored. After the program, a brunch will be served in Linwood House, the Museum’s 1859 Berkshire cottage. Cost to attend the lecture is $25, $20 for Museum members. Pre-registration recommended by calling 413.298.4100, ext. 260, or e-mail: mgeorgeson[at]nrm[dot]org. 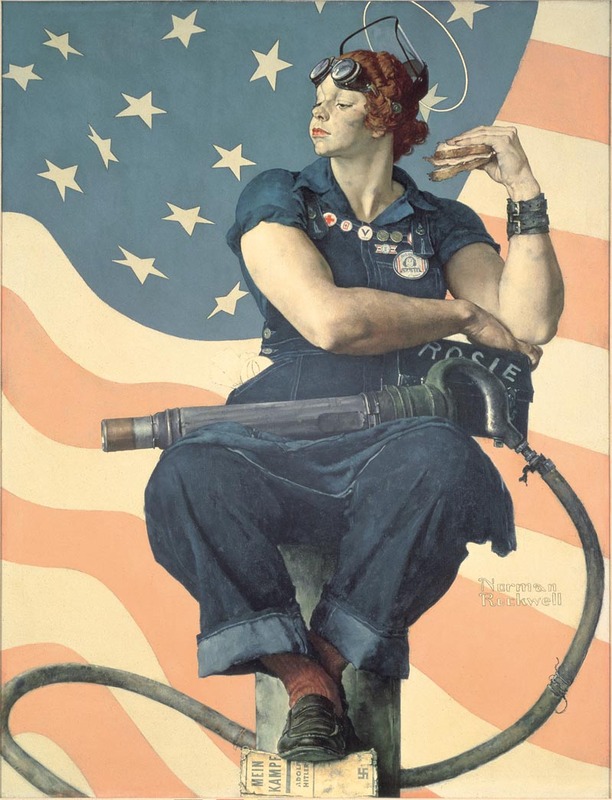 Bottom: Rosie the Riveter, Norman Rockwell. 1943. Private collection. ©1943 SEPS: Curtis Publishing, Indianapolis, IN. Thank you for this outstanding post - we appreciate your spreading the word about the work of the Rockwell Center for American Visual Studies, and for all that you are doing to advance scholarship relating to the art of illustration. If I lived on the East Coast, I'd definitely go. I'm a huge fan of both Leyendecker and Rockwell, and of their personal histories in the field of illustration. I always regret missing a traveling Rockwell exhibition many years ago in San Diego, but was thrilled to visit a Leyendecker exhibition in Southern California some years later. And the subject reminds all of us in the trade: No one stays "current" forever and that the public, and the tastemakers who inform the public get bored by even the best of us if we don't change as we go. Love Leyendecker and love this post. I've a book of his work but you've offered more that I didn't have. What a tragedy that Leyendecker should've fallen out of favor. Of course, who doesn't love Rockwell! Love the blog: I love you, man!